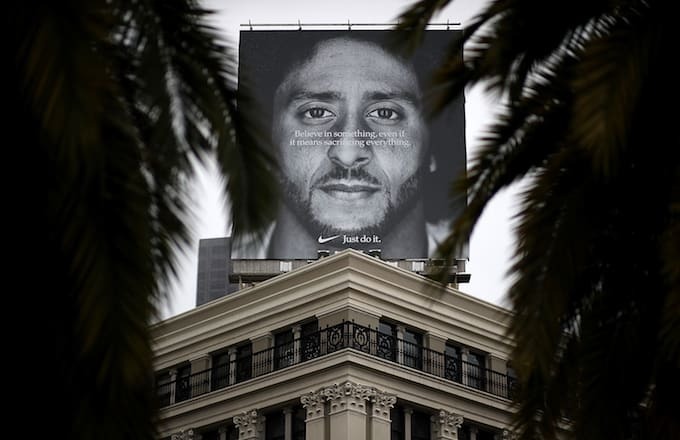 There was a segment of the Internet, led by President Donald Trump, that believed Nike shot themselves in the foot by placing Colin Kaepernick at the forefront of their “Just Do It” campaign. Turns out that they were wrong, per usual. On Wednesday, Nike’s stock closed at a record high of $83.47. Investing.com reports the stock shares are up 45%. Long story short, those burning shoes and backlash didn’t affect anything. This follows news that online sales for swoosh brand rose 31 percent after the campaign broke the Internet. Meanwhile, Nike is gearing up for a heavy September in releases with a variety of Nike Air packs and Air Jordan drops. Be sure to support the brand and check out upcoming releases from the brand. Also, Kap dropped his own brand of “IM WITH KAP” merch, specifically jerseys that instantly sold out.